I normally do not post on Mondays, but I wanted to put out a quick note today to thank all the service men and women. Several members of my family have served, including my father, grandfather, uncles and cousins. I am so proud of them. Hope you enjoyed my card. Don't want to be all business today, but just about everything I used to make this card retires in just a couple of days. 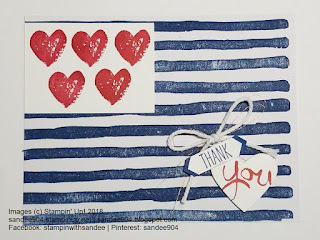 If you have made a card for your Memorial Day celebrations, please leave a comment below with a method to reach you so I can see your creations. I would love to see them all. I appreciate your support of my small business. If you would like to place an order, please go to my online store at sandee904.stampinup.net. If you are visiting my blog from your mobile, the hyperlink along the right-hand side of my page is likely not visible. Click here for a link to my store. May's Hostess Code is G7BUUGKM. I will close the order at 8 PM Eastern since systems will likely go down early for the new catalog release. 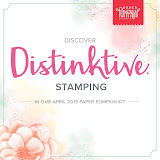 Please use this code unless your order already qualifies for Stampin' Rewards. The June Hostess Code will post on Friday when the new 2018-19 Annual Catalog goes live. Cannot wait! Everyone will be able to order the Stamparatus then! YAY!! 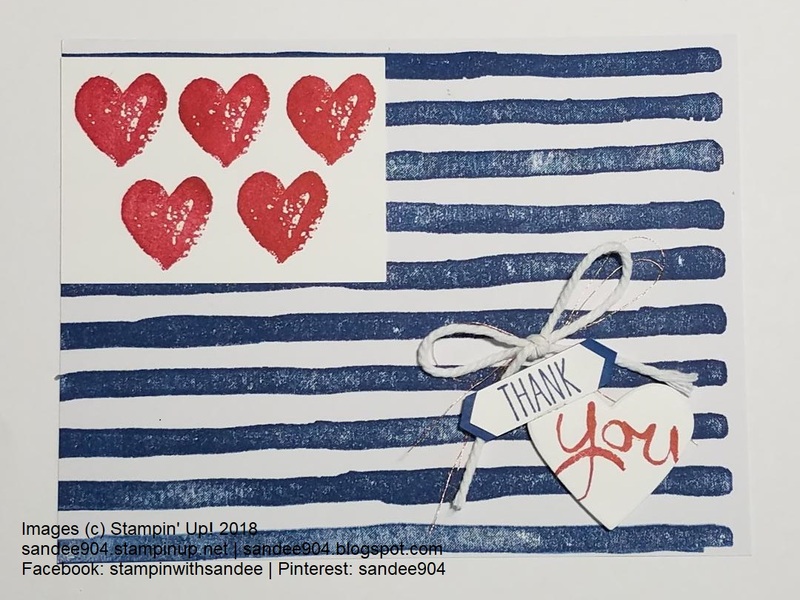 Happy to report coordination between Stampin' Up! and Paper Pumpkin. Starting with the June Paper Pumpkin, the kits will coordinate with a product suite in the catalog. 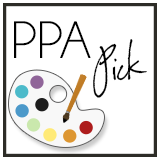 This will spark your creativity. More details will be released on Friday, June 1.